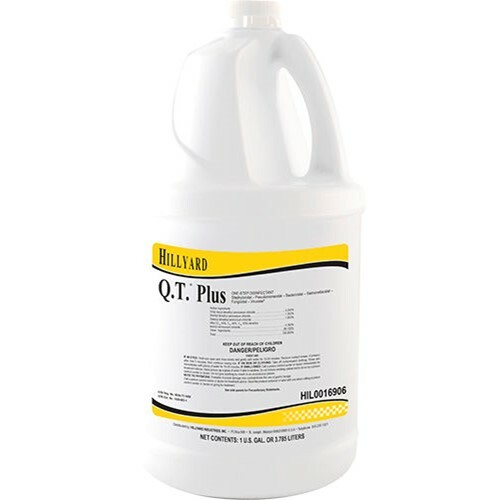 A hospital-grade disinfectant/detergent, cleaner, sanitizer, fungicide, mildewstat, virucide, deodorizer that cleans and controls the hazard of cross-contamination from environmental surfaces. Q.T. Plus is designed for use on walls, counter tops, fixtures, restroom and shower rooms, and other hard surfaces where disinfecting is a must.